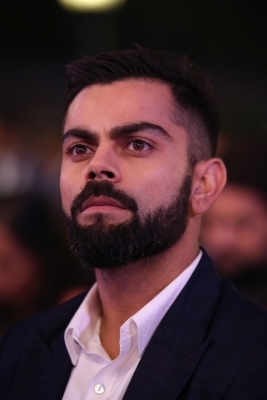 Rain has not helped Virat Kohlis Twenty20 team. They lost the first game of the three-match series on Duckworth-Lewis (D/L) method and the second one was washed out when India had a great chance of winning chasing a modest score. She rehearsed her lines well: "Whatever we decided, we decided for the team. Sometimes it works, sometimes it doesn't. So, no regrets, I am proud of the way we've played." The team management apparently decided to name the playing eleven after seeing the pitch for the first semi-final between Australia and West Indies. So the tour selectors, which included the coach and national selector, decided to go into the match with the line-up that beat Australia in the pool game, calling it a "winning combination." The Indians showed marked improvement, both in their bowling and fielding, particularly catching. With the ball doing a bit, Bhuvaneshwar Kumar and Jaspirt Bumrah were at their best and the two encouraged young Khaleel to do his bit, bowling to his captain's fielding plans. Trailing in the series, the Indians may not make any change for Sunday's game at the spin-friendly SCG, retaining left-arm Krunal Pandya after his good showing at the MCG. From Monday onwards, it's all Test preparation. A serious four-day practice game before the first Test at Adelaide, starting December 6, will give players like Ravichandran Ashin, Mohammad Shami and Ishant Sharma an opportunity to test the conditions, both will have arrived after playing Ranji Trophy matches back home. The batsmen, who were not part of the Twenty20 scheme, went to New Zealand with the India A team and played one game, in which the youngsters Prithvi Shah and Hanuma Vihari got good runs while seniors Ajinkya Rahane and Murali Vijay couldn't.